A fixed DJ with a live saxophonist is a very successful combination. All the music that you can imagine coming from the speakers, with the ‘live energy’ of a saxophonist. When you ask Toon Meijer to come with one of his favorite DJ’s, you are assured of great artists who will guarantee a top party because of their years of experience and musical expertise. There are different combinations possible, dependent of which music style is preferable. Festivals, wedding parties, dancing-clubs or receptions, Toon works with DJ’s that have a great feeling for the energy of an evening. And of course it’s possible to add percussion or a singer to get a bigger line-up! 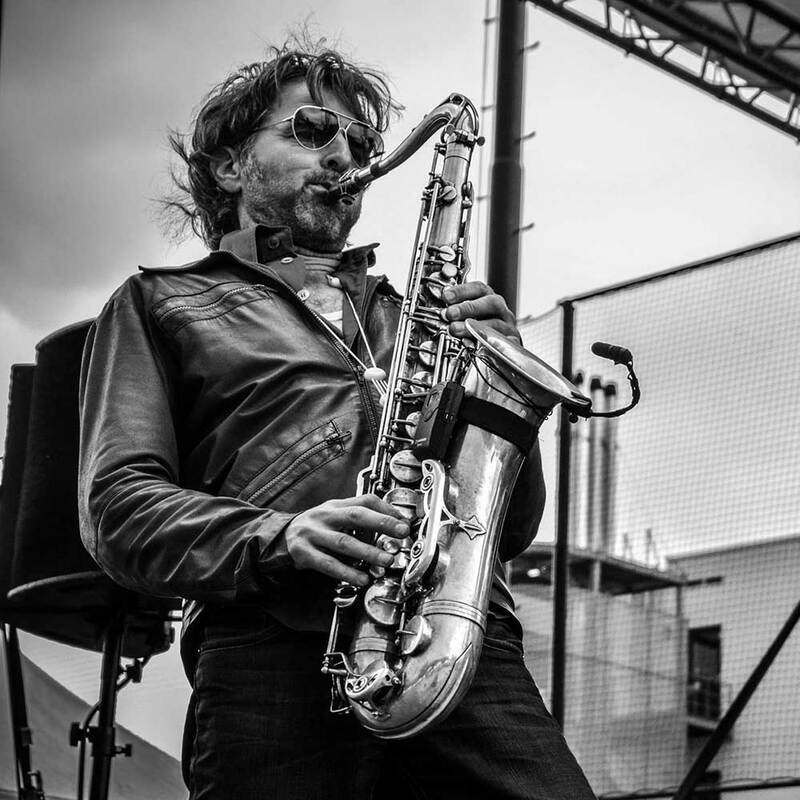 Sax & Tracks;- an act to fill the evening, from Jazz and Soul to the best Disco, Funk, Pop and Dance. The video’s alongside give an impression of how fun it can be. And of course DJ & Sax are available as a Blues set, and a Soul or ‘Lounge’ set. They can perform in a support or background role, or can also build up to a dancing act or a different act. The choice is yours..! Please give us a call for information and a recommendation.